Over the years, a great number of measures have greatly improved accessibility for Members, staff and visitors with disabilities. All new projects to extend, renovate or fit out its buildings must from the start fully ensure accessibility for people with disabilities as a priority. All Parliament buildings have at least one entrance that is accessible by wheelchair. 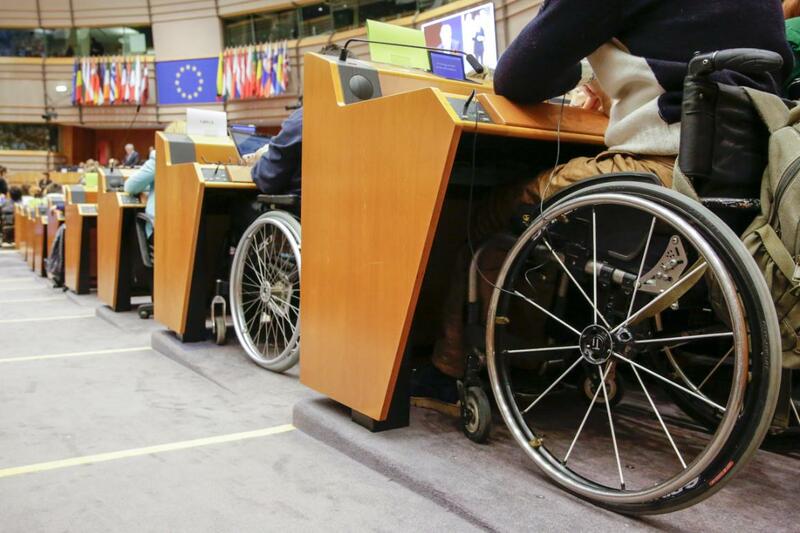 The car parks in all three cities where Parliament is located (Brussels, Strasbourg and Luxembourg) have spaces reserved for disabled drivers, and the cafeterias are equipped with tables and cash tills adjusted for people using a wheelchair. Working dogs are allowed onto the Parliament premises. In addition to these access-friendly facilities, the Parliament’s digital accessibility has been steadily improved over the last few years, with an increase of assistive technologies available on request. For the hearing impaired, induction loops can be provided and sign language interpreters can be requested in advance. For the visually impaired, braille printing and displays, reading aids and screen reader programmes are just a few of the assistive technologies at hand. In line with the EU directive for the accessibility of websites of public sector bodies, the Parliament’s website has been adapted to follow web accessibility initiative (WAI) guidelines. The webpages have been made clearer and easier to navigate, and content remains the same when viewed through a screen reader. Multimedia content has also been made more accessible with the addition of subtitles and transcriptions.